The Glasgow Distillery Company has announced the launch of 1770, its inaugural single malt whisky and the first produced by an independent distillery in the city in more than a century. The single malt, which takes its name from the year that the original (and long-closed) Glasgow distillery was founded, will have a run of only 5,000 50cl bottles, allocated via a ballot with online registration. However, a few Glaswegians will have the chance to try the whisky prior to its 3 June release date, and their comments will help shape the official tasting notes for the single malt. Bottled non-chill-filtered at 46% abv, 1770 was matured in first-fill ex-Bourbon casks, then finished for a short time in virgin oak. The first casks completed their minimum ageing period of three years earlier this week. 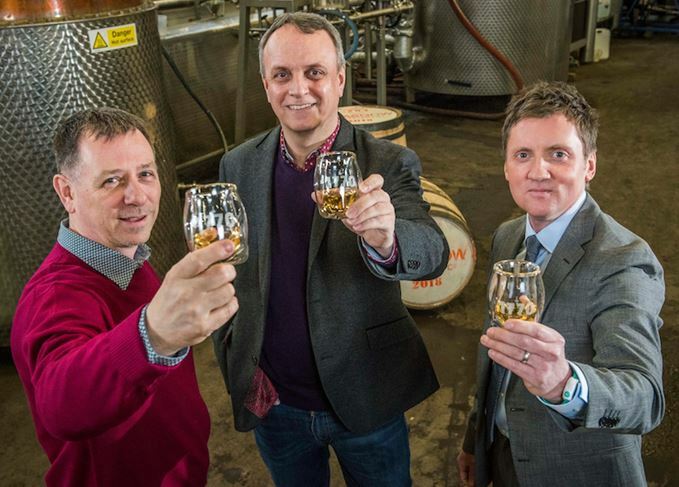 ‘Glasgow constantly influences us,’ said Liam Hughes, CEO and co-founder of The Glasgow Distillery Company. Anyone interested in buying a bottle from 3 June should register for the ballot on the Glasgow Distillery website. The whisky will be delivered later this year. The Glasgow tasting event will take place at the distillery on Wednesday, 21 March from 5pm. To be in with a chance of attending, people should visit the 1770 Whisky Facebook page and comment on the dedicated Glasgow Tasting post by Friday 16 March. Winners will be contacted directly. The distillery is planning to follow 1770 with the release of peated and triple-distilled single malts in 2019 and 2020 – part of a programme of limited annual releases. The new 28-year-old peated single malt has been sourced from an unnamed distillery. Set in a working distillery, the whisky-themed opera kicked off its Scotland tour in Glasgow. The musical work, centred on a family-owned Scotch whisky distillery, will tour next month.